Written by Nicole Kohler on July 16, 2015 Blog, Physical goods. Out of the box, WooCommerce (and many other eCommerce solutions) have basic shipping options built in. But this might not be enough for you, especially as your store grows and you begin fulfilling more orders. The Stamps.com plugin, which allows integration with their service and WooCommerce. 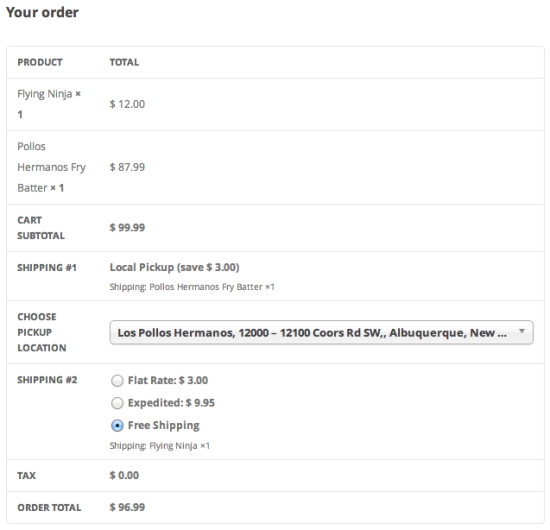 The next big thing to consider is how you calculate shipping fees for your customers’ orders. The real-time estimates provided by APIs might work for you, but there are always complicating factors — like products that require additional shipping fees, or aren’t available in specific countries. These next few options should be considered if you need to change or limit your shipments based on the location of your customers, the size of their orders, or how many boxes they’ll be receiving. It doesn’t really make sense to ask the customers located only a few miles away to pay just as much in shipping as the ones located halfway around the world. A customer located in your country will expect a variety of affordable options for receiving their order, including trusted local methods or even in-person pickup. If you ship your products to everywhere from Alaska to Australia, you need a solution that allows you to set different rates by location, as well as shipment size and weight. A table rate shipping extension will give you the power and flexibility to configure your shipping options nearly any way you please. With the Table Rate Shipping extension, you can set up “zones” in which specific shipping options are made available. This will allow you to provide more affordable shipping for the customers located closest to you, while still offering fair rates to those located in the other zones you choose to service. Table Rate Shipping allows maximum flexibility in creating and calculating fees for different zones. This solution is ideal for stores that ship to many destinations, and require high flexibility in defining shipping costs and methods for each area. If you have a large store and want to maximize your shipping options, this is definitely the plugin for you. Let’s say you don’t plan on shipping to a multitude of areas, but you still want to find a way to accurately charge your customers for the size of their orders. It costs more to pack and ship a large, heavy box full of products than it does to send out a small item, after all. If your shipments vary in size, it makes sense to base your fees on the height and weight of your boxes. This normally requires some complicated math and product setup, but there are a few ways to make it easier. Define the box sizes to use with this extension. With the Flat Rate Box Shipping plugin, you can set up exactly how much you want to charge in shipping for boxes, and charge differing amounts for various zones. This is especially helpful if you know that it only costs you $5 to ship a large box locally, but $25 to another country. Some stores carry a few items that just don’t fit into boxes. Others carry products that come in very, very bulky boxes. Though these products are in the minority, you still need to find a way to ship them. Although shipping large and awkward items can be a pain, you probably don’t want to shy away from making money on these items. Because of this, it’s important to find a way to add the appropriate shipping fees to these special products. If your customers are willing to foot the bill, you can find a way to ship them, right? Allowing Per Product Shipping fees on your store will make this easier on you. You can set up extra fees for one or all of your products, and charge rates on these items that will keep you from losing money on your transactions. A peek at the configuration screen for per-product shipping. This plugin allows you not only to charge additional fees per product, but also per product variation. So if you sell a desk that is moderately heavy, but also sell a variation with an extra component that is extra heavy and requires a second box, you can accurately charge for it. 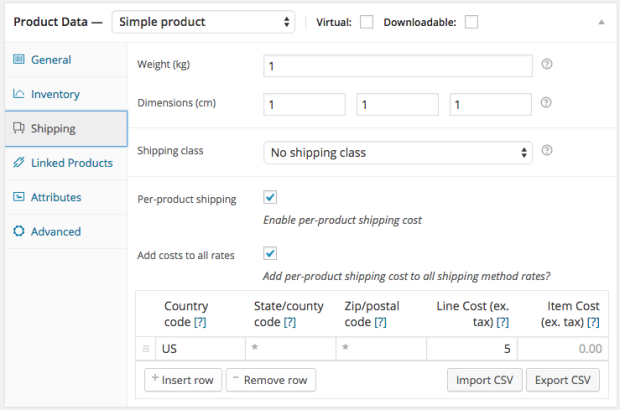 These extensions give you many options to calculate shipping fees for your products. But sometimes you don’t want to offer shipping at all — that is, you don’t want to ship certain products to certain countries. On the other hand, sometimes you want to add even more flexibility, and ship one order to multiple destinations. 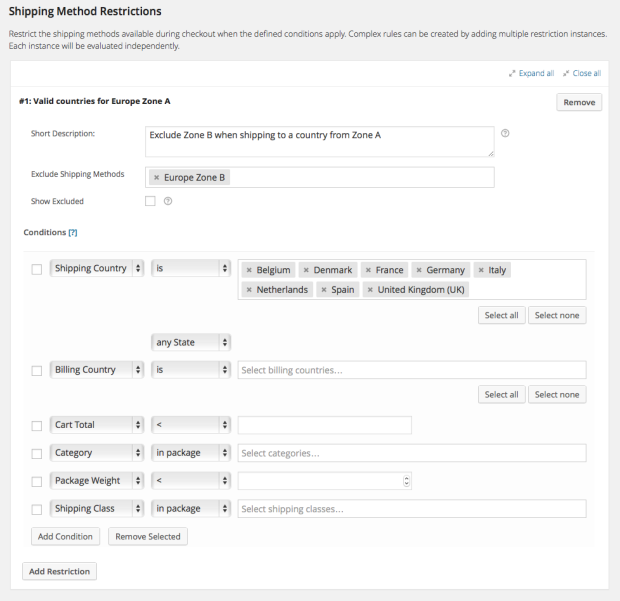 Here are two plugins that will allow you to restrict or add shipping destinations during the checkout process. Expanding your store to additional countries is a great idea. But it can get tricky if you sell licensed items that aren’t available in all parts of the world, or simply don’t want to go through the hassle of dealing with shipping some of your products internationally. 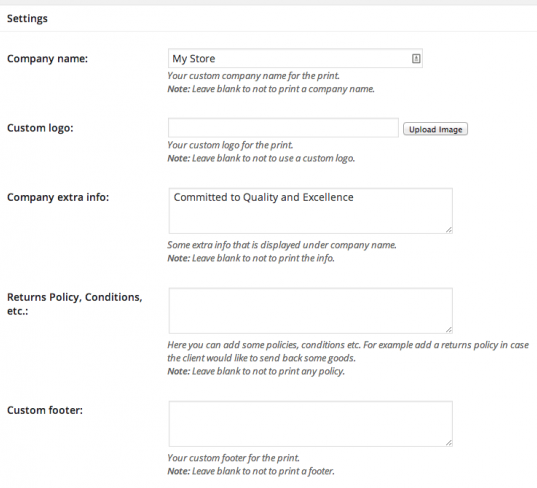 Limiting your shipping options is the way to go if you have multiple conditions for your store’s products. With a plugin like Conditional Shipping and Payments, you can prevent customers from ordering the items that aren’t available in their region, or making purchases that would be too costly to ship. You can limit specific countries from being shipped to from your store, or simply from purchasing specific items or receiving packages of a certain size or weight. 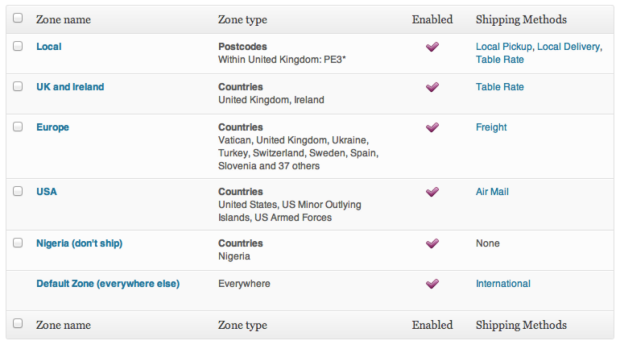 The plugin also allows you to allow or restrict different shipping options based on the customer’s location. Additionally, you can limit the usage of specific payment gateways based on region as well, or restrict gateway usage based on the products that are attempting to be purchased. If your store requires specific compliance with licensors or external payment solutions to expand, this solution is one that will help you do so easily, and without manually screening, modifying, or canceling any orders. Around the holidays, it’s common for customers to ask to ship parts of their orders to different destinations. If they won’t have the opportunity to see their friends or loved ones in person, they’d like to at least send them a gift. It’s for this reason that allowing multiple addresses in the same order can be so powerful. Your customers will appreciate not having to place multiple orders to finish all their holiday shopping. And if they know up front that you can accommodate their multi-destination needs, they might be more likely to shop with you instead of a competitor. The best way to accomplish all this is with — you guessed it — the Shipping to Multiple Addresses extension. Customers can choose multiple destinations at checkout — immediately. The great part about this plugin is that it requires no additional configuration to get it running. As soon as it’s enabled, your customers can immediately choose to split their order into multiple pieces, and you’ll receive the multiple addresses when their orders are placed. Packing slips and printed invoices still have their place in the business world, despite a growing reliance on digital solutions. Companies rely on them to show they’ve received orders, or send them to their accounts payable departments to receive reimbursement for a purchase. For those reasons, if you sell products that might be used in a business setting, it’s crucial to include these printouts within your shipments. Creating packing slips by hand can be time-consuming. It makes more sense to find a solution that can do this for you automatically. And that’s exactly what the Print Invoices and Packing Lists extension does. Some of the printable invoice settings. The great part about this plugin is that you don’t have to print a packing slip unless you need one — so if your customer requests one, or you recognize a business order, you can include one. Otherwise, you can avoid wasting the paper! WooCommerce allows you to enable a “local pickup” option for your orders by default, which gives your customers the opportunity to pick up their items from you in person. But what happens if you have multiple warehouses from which an order might be filled? And what if you want to offer a special discount for the customers who choose to pick up locally? If you run a public storefront along with your online shop, offering customers advanced local pickup options can really boost your conversions. You’ll save time and money on shipping, and customers will have the option to visit the location closest to them to get their products quicker. And if you offer a discount for local pickups, they might be more motivated to visit you in person… and perhaps come back again in the future. The Local Pickup Plus extension offers multiple advanced options, including pickup from different locations, automatic pickup discounts, and the ability to split an order if desired. Customers can select local pickup and choose their location at checkout. If you’re not already selling online, this option is also a great way for you to get started. You can offer your current local customers an easy and convenient way to pick up their purchases after paying for them ahead of time. But you can also slowly expand your business by shipping elsewhere, all the while knowing that you already have faithful customers backing you up. There you have it! These are eight shipping options you should consider for your store, and some WooCommerce extensions that make them possible. Try one, two, or all of them until you’re satisfied with the results and all the options you’re able to extend to your customers. Are you using (or considering) any of these extensions? What shipping options do you consider crucial for growing eCommerce websites? If you’ve got the time, chime in below in the comments section and let us know your thoughts on all things shipping. Have you ever take a look on woocommerce extension and plugin? You can choose rates between weight and volume and have a shipping rates when order is complete, summing weight, for example. I know Table Rate but as you said, it’s about weight and volume. If you need to assigned an amount of shipping regardless of the content produced in the command, only by delivery place which is neither a city nor a postcode but only one place, it doesn’t work. Thanks, Nicole for putting the shipping options together, i was looking for appropriate plugin or extension for my store. This article will help me choose correct shipping option. Thanks. Great article! There are two options that would add huge value for your customers. 1. Allow shoppers the ability to choose to “insure” their packages during transit. 2. 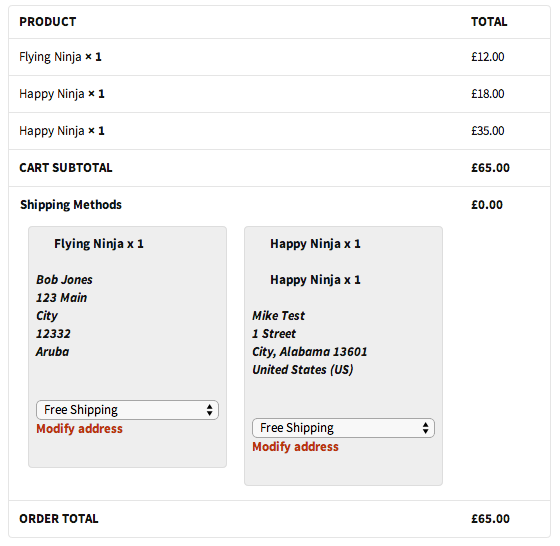 Calculate shipping charges (drop shipping) for items that ship from separate warehouses. Roger, in what country are you located? There are many fulfillment (3PL) companies available in the United States that can do 3rd party fulfillment based on number of items picked. What is really lacking though are good solutions for label printing through woocomerce. I use primarily usps and have yet been unable to find a reliably working option, so I am printing all shipping labels manually through PayPal. Love the flexibility of woocomerce but the shipping aspect has become slower. IIija, there are many 3rd party solutions that are integrated into WooCommerce that allow for printing shipping labels. Moreso from the United States, but there are some for other countries too. One is the ShipStation Extension. Others include Shipping Easy, Ship It, Ordoro, etc. It all depends on what country you’re trying to ship from. Thanks for this article. It comes at a great time for me because shipping is on my mind! I’m working on creating a new WooCommerce store. We’ll likely be using an extension like Ordercup or ShipStation to help us manage our shipping in the warehouse, but I’d like to be able to offer real-time rate calculation to my customers at checkout. We will be using UPS for domestic shipping and DHL for international. Do you have recommendations for an extension that we can use to offer real-time live rate calculations from these carriers? Hi Ken – We used Wanderlust Web Design’s EasyPost shipping plugin because of exactly the situation you describe. We have lots of international orders and found it incredibly difficult to integrate DHL (and UPS and USPS) into our webstore. EasyPost and Wanderlust’s shipping plugin made it possible. 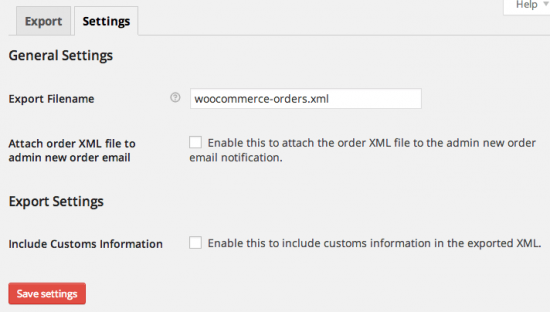 Plus, you can label print within WooCommerce. Plus the developer is INCREDIBLY helpful and responsive. I cannot recommend this solution highly enough. We have been very happy with it. Thanks Kinley. I have considered that solution and will definitely give it another look! Someday, maybe there will be a plugin that revolves around dropshipping (origin zipcode per product) that doesn’t cost an arm and a leg for just 1-2 websites. There are current options yes, but in order to do what I need to do, it would cost me more than 500.00/yr for UPS/FedEX/USPS for the ‘necessary’ plugins to do so. Looking for shipping plugin that allows me to choose which warehouse location I send from per product or product category. Any ideas? I want to send some products from Australia using AUSPOST and some US using USPS. I have it set up to determine which warehouse using the customer’s address however I’d like to be able to override it at times when we only have the product warehoused in Australia. I have a fairly simple request, if anyone can answer. If any our overseas buyers order more than one item then we’d like to offer free postage. but if only one item is ordered a postal chagre is made. is there a simple solution here? I am woocommerce website developer with over 150 websites. I need your advice on setting up shipping. Shipping is based on price. There are two categories of customers (Roles). A walk-in customer gets charges a shipping fee based on the value of the total (Excl. GST). An On-account customer is charged a % on total in addition to shipping if the total is below a certain value. In this case, the two charges, Admin Fee and Shipping need to be calculated based on the total (Excl. Taxes). However, these two charges need to be displayed in separate lines in the invoice. I am using Woocommerce Advanced Shipping by Jeroen Sormani. He has said that his plugin will not be able to get the two charges in separate lines – even though it does calculate the two charges correctly. I would appreciate your recommendation. Hi, I am currently working on a new woo site for our company and the shipping issue is a big problem. Any help on this would be greatly appreciated. They ship 5 gallon buckets. When a customer orders 1 bucket, no problem. If 2 or 3 are ordered, the dimensional weight doubles or triples even though 3 buckets will nest and fit in the same box as 1 bucket. This gets compounded when other products are ordered as they will also fit inside the bucket. Will table rate do multi piece consolidating? So, if X(bucket) is $10.00 to ship, and Y & Z will fit in the same box the shipping should be the same. However, if X(bucket) is not ordered, Y & Z need their own rates.